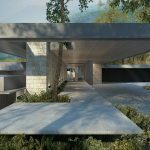 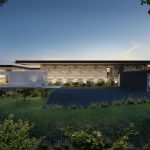 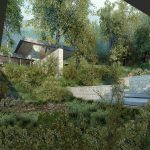 This concept was initiated by the incredible site and the desire to use the natural terrain to inform the position of the house. 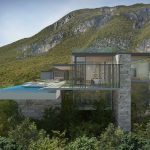 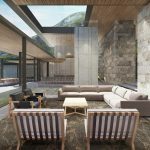 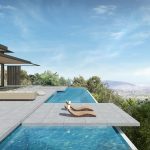 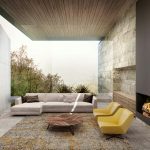 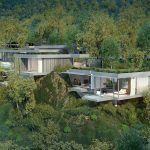 Each space was designed to have a connection to the mountain, providing uninterrupted views and access to forested courtyards and walking paths. 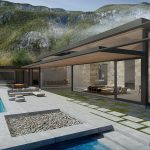 The defined steel profiles and horizontal planes of roofs and floor slabs are divided vertically by thick, textured stone-clad walls.